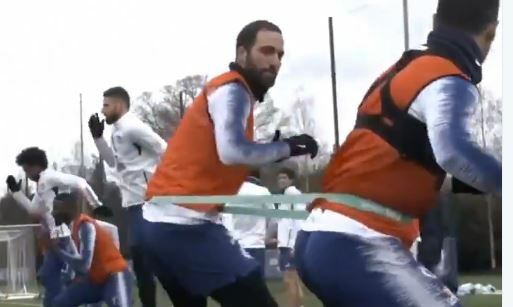 Chelsea fans are really excited about Gonzalo Higuain and Eden Hazard’s potential for linking up well in the final third, and manager Maurizio Sarri has already been speaking about their potential potency together. Now Chelsea are even teasing us with videos of them partnered up in training. We can’t wai to see what they can do against Manchester City later today. Hopefully this time together on the training pitch has helped both players reach their world class partnership potential.